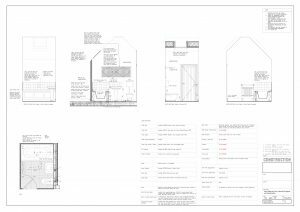 Some examples of my technical drawings for houses and domestic extension projects, both contemporary and vernacular, are included below. 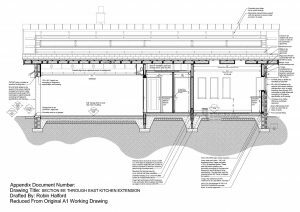 These drawings are from tender packages and construction issue on completed projects. 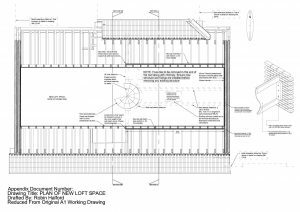 A loft plan with 3D detail, showing a loft conversion on a contemporary extension and refurbishment scheme to a 1970’s bungalow. This is generated from a master 3D model. 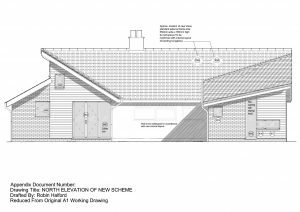 An elevation of a contemporary extension project generated from a fully detailed 3D model and enhanced in AutoCAD. A cross section through the east wing of a domestic extension scheme showing footings, floor build-up, wall and roof construction. The elevation in the background features a high level slot window detailed below. This is generated from a master 3D model. 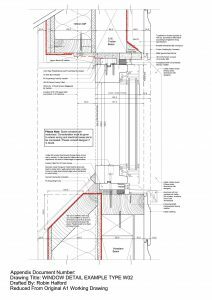 A cross sectional detail through the slot window shown above generated from a master 3D model and enhanced in AutoCAD. 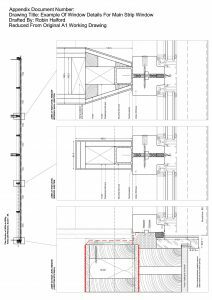 A plan section showing the construction of the slot window and the integration of steel structure such that it is unobtrusive. This is generated from a master 3D model and enhanced in AutoCAD. 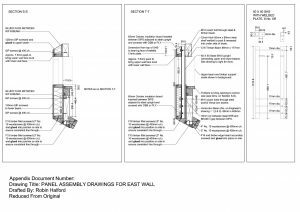 Further detail drawings precisely specifying the structure around the high level slot window. 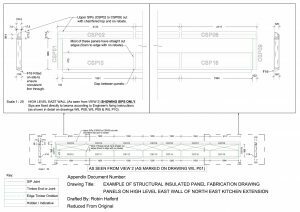 Fabrication drawing of structural insulated panels around a high level slot window. A door sill detail for a Velfac window with a hardwood timber door step. 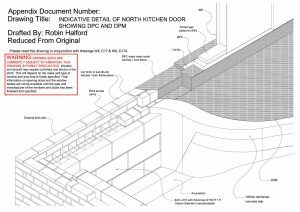 3D detail showing the construction of a door sill and corner window with DPC and DPM. This is taken from a master 3D model. An example of a bathroom design drawing with specification included. 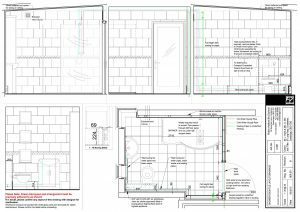 An example of a shower room design drawing clearly showing plumbing and tiling. 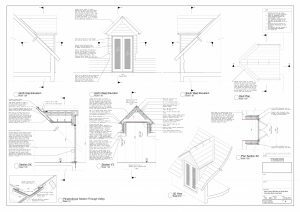 A concise drawing detailing the construction of a vernacular dormer with outward opening doors. 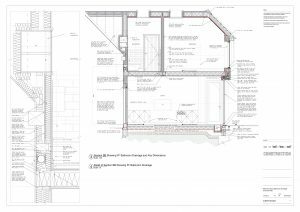 A detailed cross section through an extension to a barn conversion taken from a highly detailed 3D model. 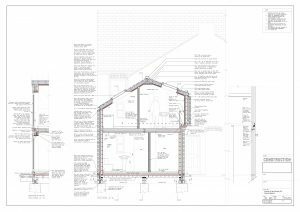 Part of a detailed construction package for a vernacular extension project for a house of multiple occupancy. This contract was for design and construction drawings only. 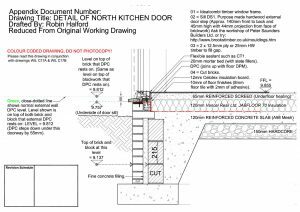 The project was built without a hitch based entirely on my drawings and the specification therein.